Established in 1981 the UK's premier Awards are now in their 39th year. 3 Awards and hundreds of eligible shows make for a very exciting and very busy festival for Nica Burns and her team. You will find on here information about the awards, who we are, who all our fabulous nominees and winners are and where they are now. We have been lucky to work with some of the best talent in the comedy business and had the privilege to watch them grow from hot small rooms at the Edinburgh Festival to major household names selling hundreds of tickets across the UK. 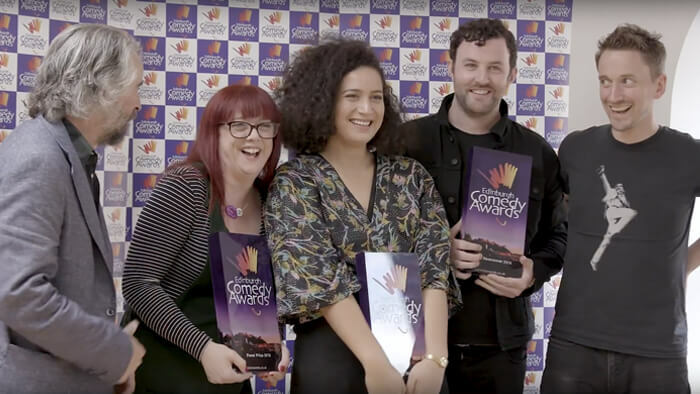 Then you may have what it takes to be an Edinburgh Comedy Awards Panellist. Click here for more information.